Every prepper knows that a well-equipped bug out bag can mean the difference between life and death during a natural disaster or SHTF scenario. The tendency is to want to stuff as much equipment as you can into your bug out bag just in case you need it, but a bag that is too heavy can be detrimental even for a short trip. Experienced preppers recommend that your bug out bag be lightweight, no more than twenty-five pounds and some try to get an overall weight closer to fifteen pounds. 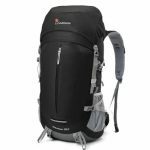 Start off your bug out bag with this handy hiking backpack with internal frame. It comes with a high visibility color rain cover and has an internal sleeve for a hydration bladder with tube access. (bladder sold separately). The main compartment is roomy and runs the depth of the bag with an expandable drawstring and plenty of additional pockets. Six compression straps for hanging gear, it’s a 5-star rated backpack that weighs just under 3 lbs. Priced at just under $70. 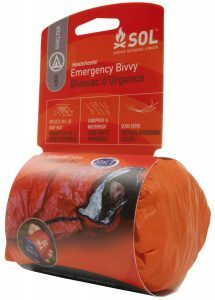 A 50 degree rated sleeping bags priced at around $50 makes the perfect sleeping gear. Expected weight should be right around 3 pounds. For colder weather add in a lightweight emergency reflective bivvy priced under $15. TOAKS Titanium 450ml Cup weighs under 3 ounces and hold slightly over 15 ounces of liquid. The cup has handles that fold in for storage and it comes with its own mesh sack for around $20. It’s the perfect complement to HealthPro Titanium Light weight 3-Piece Cookware Set for $50. The cookware set weighs in at just under 1 pound. 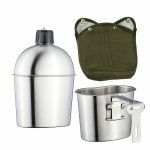 If you really want to travel light for your bug out trip, opt for this Military Stainless Steel Canteen with Cup. It weighs just over 1 lb. and is priced at less than $25. Round out your cooking gear with titanium utensils and you’ll be prepared to cook in style during your bug out journey without weighing down your pack. 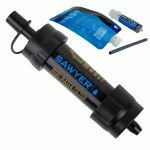 Make sure you have mapped out potential sources of fresh water along your bug out route and tuck on of these Sawyer Mini Water Filter. It’s smaller than a LifeStraw. Even if you carry a water bladder in your backpack, it’s always a good idea to have a backup plan for staying hydrated during an extended bug out trip. 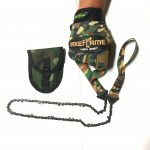 The Pocket Survival Chainsaw by Axeflame comes in a carrying case with loop for optional belt carry if needed. Weighs only 5 ounces which means it won’t add a lot of weight to your bug out bag. Blade is made of quality carbon steel making it a solid lifelong tool. The Folding Saw with 10-inch Curved Blade makes other folding saws feel inferior in comparison. It weighs in at less than 1 pound so it won’t weigh down your backpack. It has a comfortable grip and a locking handle to keep it from folding up while in use. At a price of less than $20, consider buying a second one for your car or get home bag. 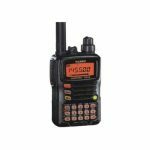 Tri-Band VX-6R Amateur Ham Radio Transceiver by Yaesu is a great lightweight option for staying in touch with what’s going on in the rest of the world and with family. Keep up with police and fire chatter on the scanner. Don’t let the 9.6 ounces fool you, this little radio is waterproof and submersible and as solid as a tank. Empty medications from bottles into snack size zip lock bags to make carrying them lighter. Cut tags from your clothing and sleeping bags and trim unnecessary material or straps from your backpack. 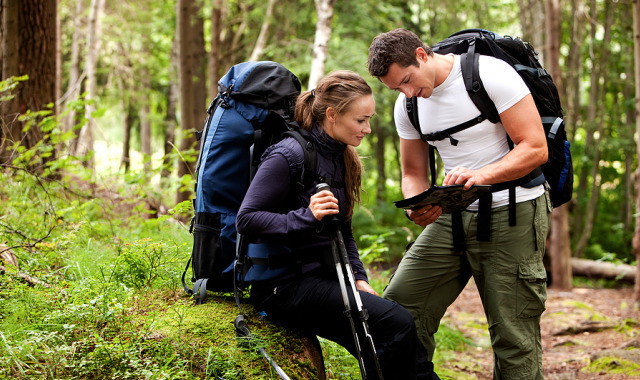 The goal is to have your bug out bag as lightweight as you can possibly get it but still have the most crucial items you need to survive during your bug out trip. Remember unexpected delays could mean the trip to you bug out location is extended overnight or for several days. The only way to lighten your bug out bag is to seek out the gear and other items that are lightweight but still quality items. Look for items, like a bandana that can be used in multiple ways and really consider the weight of each item against how likely it is you will need it during a bug out situation. Graywolf as a fantastic article on the subject if you’re really looking to as much as possible from your BOB. Previous: Previous post: ALLEN GAMBOA: Post-Apocalyptic Fiction! Next: Next post: OTR Reenactment… July 4 Declaration of Independence!